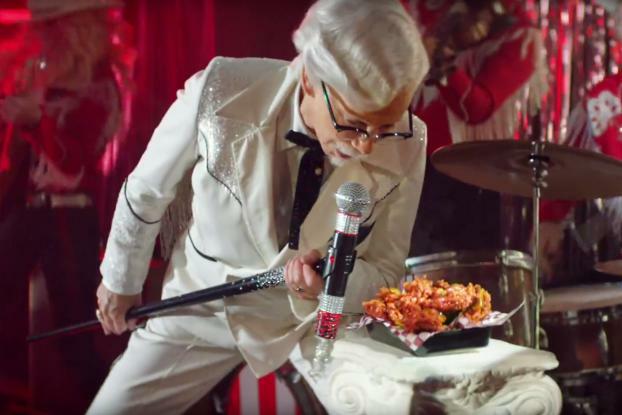 Country music fans might instantly recognize the voice of the first woman to play KFC's Colonel Sanders, but for others, it could take several seconds before figuring out who's in the sparkly white suit. McEntire the colonel is on stage at a honky-tonk bar, and when she starts singing, the audience goes nuts. She tosses her white cowboy hat out into the revelers, revealing a quick cut of the "real" McEntire, who catches the hat on her head. Wearing a wig, facial hair, glasses and a fringed, sparkly white suit, McEntire dons a look similar to that of the nine male celebrities who have starred in the ever-changing Colonel role. She's the first woman, and the first music superstar, to play the part, which originated with Darrell Hammond in May 2015. 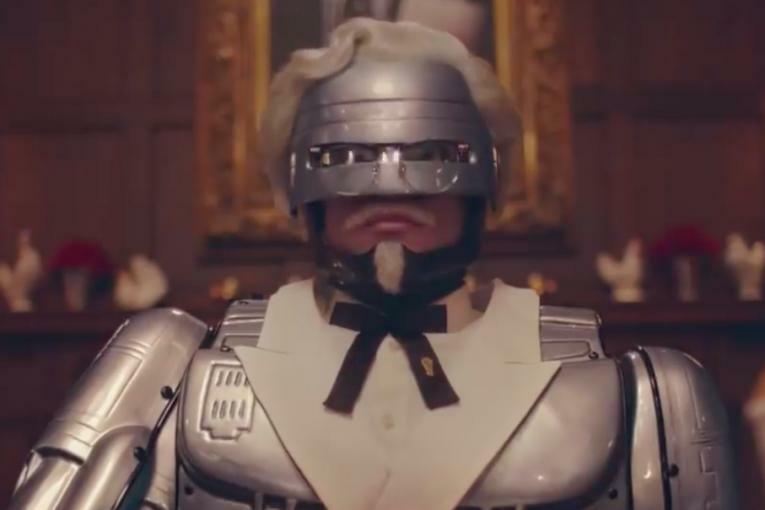 Her spot, from KFC agency Wieden & Kennedy Portland, is also the first one to feature dancing policemen. 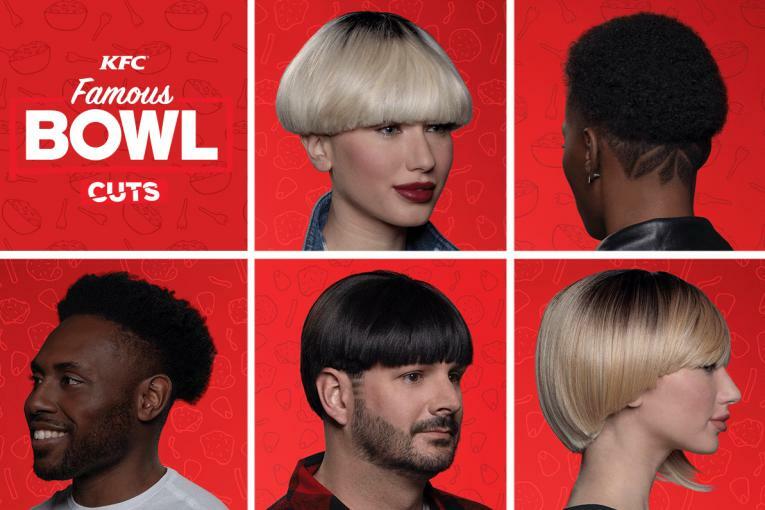 "I grew up with Kentucky Fried Chicken," McEntire said in a KFC statement. "It's part of my story, and I'm so excited to now be part of theirs. 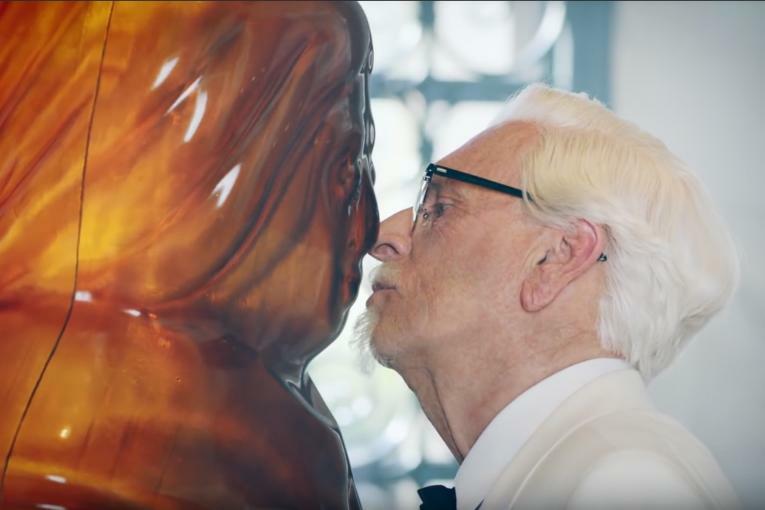 I've held a lot of roles in my lifeï¿½"sort of like the Colonel himselfï¿½" but this is certainly the most unique one yet." What she's part of, specifically, is selling the chain's newest regional flavor, Smoky Mountain BBQ fried chicken. Smoky Mountain BBQ is the Yum Brand Inc. chain's third southern-inspired flavor. Vincent Kartheiser played the Nashville Hot fried chicken colonel in 2016, followed by Billy Zane as the Georgia Gold Colonel in 2017. Ray Liotta was then the face of both of those flavors in a campaign that broke in September.